Operationally, the Tufway is a low-maintenance, easy-to-service restroom with a long history of durability. Using fewer parts made from high-density polyethylene, the Tufway can withstand impact and abusive handling without cracking or breaking. The features which make the Tufway easy to clean and service are the front sloping tank top, slightly domed floor, and smooth, deep sumped tank. Adding slope to the tank and floor surface forces liquids to drain, not puddle, and the sumped tank improves deodorizer coverage and assures quick, complete waste removal. 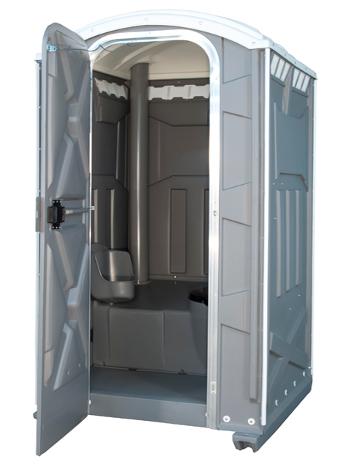 The heart of the PolyPortables line continues to be its Poly Standard portable restroom, the “Standard of Excellence” in the portable restroom market for over 40 years. 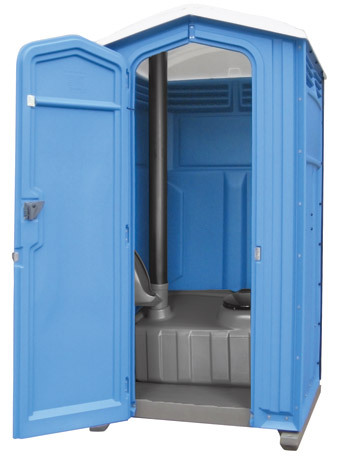 As the original design in the PolyPortables fleet, the Poly Standard unit led the way in the development of the modular polyethylene toilet designs employed today.